When Dee Langley first played the accordion at the age of four, she could not have known that her love for the instrument and her passion for music would eventually reap her numerous first place honors, take her to Europe, and earn her several guest appearances as accordionist with the Minnesota Orchestra and the St. Paul Chamber Orchestra. 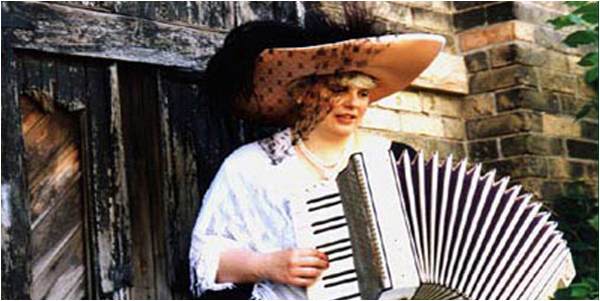 As a professional, Dee has participated in seminars and symposiums on accordion styles and techniques in Chatel, France and Klingenthal, East Germany. 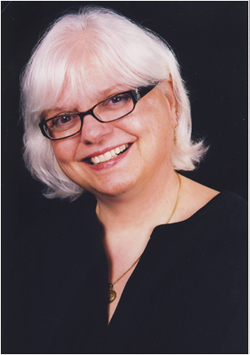 She also has performed with the Dolina Polish Folk Dancers and Ethnic Dance Theatre as well as officiating as Director of The EDT Folk Orchestra. Concert tours of Poland, France and the Czech Republic, respectively, being a few of the highlights of her tenures with these companies. A founding member of the award winning Balkan group, Orkestar Bez Ime, Dee has enjoyed a wide variety of ethnic festival venues across America. Her tutors for specific folk styles include Nikolai Gueorguiev through Ethnic Dance Theatre (Bulgaria) and Boris Kostic (Rromani--Gypsy) at Amala School, Valjevo, Serbia. On several occasions, she has been asked to perform accordion works not only with the Minnesota Orchestra and St. Paul Chamber Orchestra but also the Bloomington Symphony Orchestra, Philomusica, The St. Cloud Symphony Orchestra and the Northwoods Classical Players (members of the Chicago Symphony). She has also premiered compositions with the Ancia Quartet, the Minneapolis Philharmonic and Minnesota Philharmonic Orchestra and has worked with contemporary composers including, Peter Blauvelt, Mary Ellen Childs, Becky Dale, Shelley Hanson, Mark Hellem, Daniel Kallman, and Carleton Macy, to expand the visibility of classical accordion with other instruments. Dee Langley is winner of the 2011-2012 McKnight Artist Fellowships for Performing Musicians (Orkestar Bez Ime) administered by MacPhail Center for Music and the 2012 American Composers Forum Minnesota Emerging Composer Award (World Music – Orkestar Bez Ime). She is the President of the Mill City Accordion Association, a past President of the Accordionists and Teachers Guild, International. Dee currently performs a wide variety of music in Metro area of Minneapolis/St. Paul, Minnesota where she teaches accordion both privately at her studio and for Minneapolis Community and Technical College. 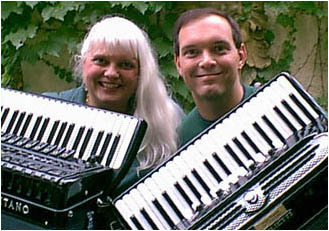 Dee has joined forces with outstanding accordionist Greg Dagoumas to form a fun new duo which they call "Just Du-et". Popular entertainers in the Minneapolis area, they invite you to join them in staying warm and cozy tucked inside Kramarczuk's with good music and the best Eastern European food in town! On the 2nd and 4th Saturday you are invited to bring your accordion, or your friend for the "Open Stage" from 6:00 PM - 6:30 PM as 'Just Du-et' settle into their new time slot for the winter at the Kramarczuk's Deli. Kramarczuk's Deli is located at 215 E. Hennepin Avenue in Minneapolis. So.. don't be shy.... you're invited to come get a Squeeze! You'll have fun navigating your way through the accordion world in Minnesota, taking you to everything from concert dates to accordion humor. Have fun!